Hi people. 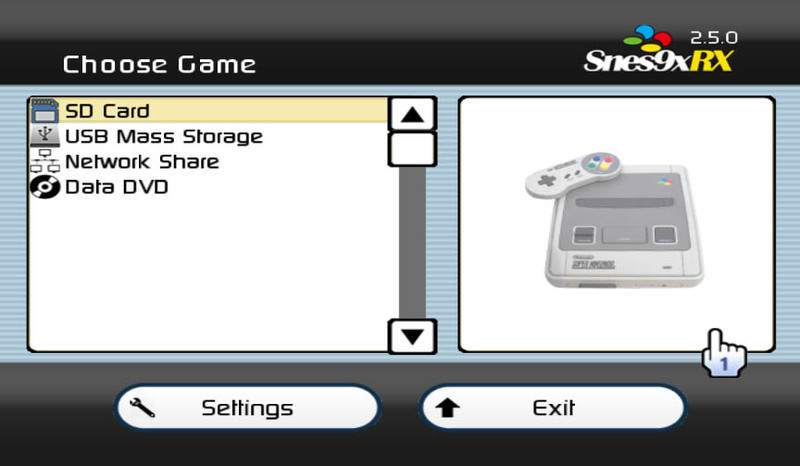 Almost exactly 2 years ago, i began this fun coding exercise as a little effort to backport interesting and useful changes present in other releases of Snes9x, mainly the ones related to libretro and the official Snes9x. I am no expert, but thought i could learn a little bit, and in the process make some personal updates to keep enjoying my favorite console on my favorite homebrew system. 240p FTW! Seeing that the GX emulators got some new updates in 2017-2018 and that there's still public interest in the Wii scene, i believe this is a good time to finally release it, since i couldn't do it last year (moving to another country and other RL stuff). This fork will stay on Snes9x core version 1.52, and be focused primarily in maintaining full speed for all games, or as far as the Wii can push performance. Commits will still be cherry picked from the libretro/snes9x/snes9x gx as long as they do not degrade performance. Any help, feedback, or comments, will be always welcome. And last, but no least, thanks to Tantric (a.k.a. dborth), Zopenko, and more recently, Bladeoner, for maintaining the great GX emulator series. * You can now play Super Mario World Central 9th Annual VLDC #9. * -1 frame input lag difference. * Kouryuu no Mimi english translation is playable. 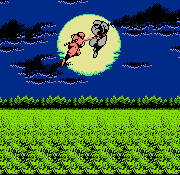 * Tengai Makyou Zero - Far East of Eden english translation is playable. * Revisited and updated spanish/italian translation. * Gamecube & Wii build available. Last edited by niuus on Fri Dec 28, 2018 10:15 am, edited 1 time in total. - Adds ARAM usage via the TLB. * Add toggle to enable/disable virtual memory info. * Credits crash fix and minor update. * Rollback scanline filter fix. Makes it crash when loading a ROM on the GCN port. * Rollback graphic fix that broke StarFox graphics. * Remove some debugger code in cpuexec. * Remove some debugger code. * Remove some movie code from logger. * Compatible with the new english translation for "Tengai Makyou Zero - FeoE". * Remove things and tidy up. * Partially remove movie code (part 6). * Partially remove NETPLAY code. * Partially remove movie code (part 5). * Partially remove movie code (part 4). * Partially remove movie code (part 3). * Partially remove movie code (part 2). * Partially remove movie code (part 1). * Added 20 MHz overclock option for the SuperFX chip. * Revisited and updated spanish translation. * Revisited and updated italian translation. * Fast-Forward on the right stick is enabled again. * MSU-1 fixes from the qwertymodo branch. * The minimum file size for a ROM is now 30KB. Hangs at black screen after the 1st or 2nd round. Some garbage on the upper part of the screen of the soccer field. Black strobe effect on gameplay. Last edited by niuus on Thu Jan 10, 2019 11:53 pm, edited 6 times in total. Hi emu_kidid. Yeah! I saw your changes regarding the VM, i tried to implement them in fact, but didn't had much luck. I find them really useful specially for helping with the memory leaks i've read are present on the GCN version, but from what i tried, my build just ran games like a slideshow so i can't use them, i'm not sure if i missed something or if it's related to devKitPPC, since i am still using r26. If you can take a look when you have the time, it would be pretty cool. Merry x-mas!